Over the past months, Platoniq has hamonised the inputs emerged from the CultureLabs meeting in Barcelona, where the team identified ethics and principles that will be leading the CultureLabs project. Elena Silvestrini (methodology developer at Platoniq) describes the project methodology, that has been set and inspired on Platoniq expertise but also on “Design Justice” principles, by adopting a community centered design approach. What does it mean for CultureLabs? The role of the facilitation is to manage the relations and to create a safer space where the different communities can work together and shape directions that would be taken, an encounter based on storytelling and participation. CultureLabs was back in Athens! On 5th and 6th of March 2019, after the kick-off meeting, CultureLabs went back in Athens. The meeting was held at the National Technical University of Athens (NTUA) by the project coordinator with representatives from all project partners. During the meeting in Athens, the partners had a constructive discussion, covering all the aspects of project implementation and presenting the first results of the sharing knowledge, experiences, expertises and analysed the next steps. Partners focused on the first results of needs analysis of stakeholders in relation to the first structure of ingredients and recipes which will be the structural data of the digital platform. The upcoming four pilots (and other planned activities) had a leading role: pilot organisers explained the methodology that will be followed in order to identify the target groups and their needs and the requirements of digital tools. The needs and input of participants should be taken into account from an early stage on; the pilots activities are expected to “fit” under the collaborative/co-creation/hosted approaches. 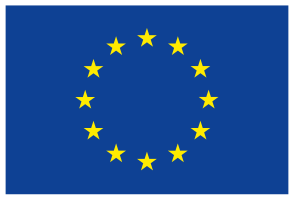 The partners continued discussing about the first reporting period to European Commission (EC) and furthermore they discussed about the first main dissemination event of CultureLabs project which will take place during the Internet Festival in Italy (October 10-13th). A very fruitful discussion due to the active participation of the partners in an open discussion where each one could give their impressions on each particular activity, offer solutions and collaboration and work together on common implementation issues. For further information about CultureLabs project progresses keep following our Magazine section! SURPRISE is an art festival, a physical and digital art exhibition, and a participatory project at the same time that employs the power of contemporary art for social innovation purposes. SURPRISE is an international campaign that counts on the participatory and collaborative efforts of the artistic community, the private as well as non-profit organisations, and engages the public and art as a way of solving serious social problems. In this case, the social innovation efforts target the support of the homeless of Greece and KLIMAKA NGO’s relevant programs for the homeless. Every year, around 300 small format artworks are collected by the organisers of SURPRISE and then made available to the public for the amount of 50 € per piece. The price is deliberately set at an affordable range to allow everyone to support the effort. Participant-artists cover the entire spectrum of artistic practice: from discovery artists to globally established, as well as a significant number of international artists. There is, however, a catch: the artist’s identity remains secret. The artworks are signed on the back, thus encouraging the audience to decide solely upon instinct and personal taste. While contributing to the cause, online and on site visitors of the SURPRISE exhibition of art have the opportunity to acquire an already valuable artwork or one that will increase in value over time. Either way, they will walk away with an artwork of their choice. The SURPRISE project takes place every year and the earnings from the artworks’ sales are donated to the Homeless Support Program of KLIMAKA NGO. The participatory project was first realized in 2009, and since then, more than 2,000 artists from around the world have joined the campaign, contributing their artworks to support our fellow humans. The citizen interested in supporting this effort can visit www.artaz.gr/surprise which hosts the online exhibition every year to study the artworks online and note down the code numbers of their choice. New artworks are added on a daily basis up to the physical exhibition’s opening. For instance, in 2018, the physical exhibition of SURPRISE IX took place between 23-25 November at the «EARTH K44» space in Athens, Greece for the live viewing and sale of the artworks. The artworks are sold on a first come – first served basis. Several parallel events also take place during the physical exhibition, such as a silent auction of larger scale artworks that feature in the exhibition list, art games making available artworks, book sales and more. Surprise X, 2019 – How can I participate? SURPRISE X physical exhibition will take place in Athens, Greece, on Friday 18 October 2019. There is currently an open call to artists interested in using their talent to bring positive change for donations of artwork to support the cause (help the homeless of Greece). Prior to the exhibition at the physical space, the artworks will be exhibited online. The online version of the exhibition starts the 15th September 2019. Samples of artwork can be sent at info@artaz.gr, while more information about this can be found at http://www.artaz.gr/surprise/item/463-surprise-x-call-for-artists. Each edition of SURPRISE features around 300 artists but the 10th (2019) anniversary edition is going to be even bigger by establishing artwork collection stations internationally and inviting artists from across the world to join the cause. What can CultureLabs learn from Surprise? just like CultureLabs, it is using a digital cross-cultural platform and digital tools (i.e., the online exhibition of the project) to enable participation of all involved artists and make their artwork widely available to a broader audience, while creating bridges between art scenes around the world. In CultureLabs, we are exploring approaches, methodologies and we are implementing digital tools to facilitate the organization and implementation of projects like SURPRISE and enable new similar participatory projects to be carried out even by non-experienced but willing organisations. We welcome all your feedback, ideas and involvement in any aspect of our project. You can contact us at info@culture-labs.eu! What is “Our Migration Story”? “Our Migration Story” is an online teaching resource, launched in 2016, to provide teachers with resources and tools to engage students with lessons on migration in Britain. It uses unique open source technology to widen access to original academic research and be used by anyone interested in learning about Britain’s migration history. 1900 – 2000s: 20th & 21st Century Migrations. Each category is introduced through a short video and an overview text that covers the general characteristics and the major movements of that period. This is followed by a collection of untold stories of specific communities and individuals arranged in the form of a timeline. Each story is written by one of the collaborating historians and is supported by images and personal stories and provide links to additional references. One of the most interesting aspect is the Questions and Student Activities section at the end of each story which provides provocative questions and classroom activities that are, in most instances, related to contemporary issues that students can relate to. Additionally, the Teaching Resources area provides teachers with lesson plans and classroom activities. The “Our Migration Story” project is a collaboration between the Runnymede Trust which is an independent race equality think tank, the University of Cambridge and the University of Manchester. It is funded by the Arts and Humanities Research Council and builds on previous research and two other projects – Making Histories and Bangla stories. These projects involved engaging with young people to explore, collect and document stories around migration. “Our Migration Story” was created as a response to the questions that arose around race and inequality in education in contemporary Britain and more specifically with the content of the current national curriculum. Despite its straightforward approach, the project uses innovative methods to tackle the exclusion of minor ethnicities and communities from migrant backgrounds. What can CultureLabs learn from “Our Migration Story”? Throughout the different project stages, the team worked collaboratively with both individuals and stakeholders; teachers, academics, local historians, policymakers, exam boards, teachers’ unions, and teachers’ training boards. The topics included in the website were chosen through round table discussions. In addition, the team worked directly with schools to engage students to build the content and test the developed resources. This was critical in building a sense of ownership and will make the project sustainable beyond its expected timeframe. The long term aim is to change the national curriculum to include mainstream race and diversity however the organisers acknowledged both the complexity and time required to achieve this. Their initial aim was to encourage teachers to work within the existing boundaries, while continuing to advocate for a systematic change. As a result, the needs of the end users were identified in order to be met in the best possible way. Surveys and focus group discussions with teachers revealed that many teachers had the motivation to be part of the change but did not have the time or the capacity to do all the research required to develop teaching resources. As a direct result, the project provided ready-made resources for teachers to use. The website uses digitised museum and archive collections as resources and links those objects with personal stories in an interesting way that brings those collections to life and in context. The addition of additional content to the website is something that the organisers are considering, however, their priority is to focus on the dissemination and promotion of the current resources. “Our Migration Story” project constitutes an excellent example of innovation in its use of technology for social inclusion. At CultureLabs we are looking forward to launching our platform, where we will be able to add the “Our Migration Story” project as one of our ingredients; it is a great example and a useful resource! Over the past few months, Sheffield Hallam University led an investigation to identify the functional requirements that the CultureLabs platform should have. The perspectives of both the members of the consortium and of relevant external stakeholders were gathered. The study comprised of a survey and interviews. Even though internal and external stakeholders have different needs, motivations, and previous knowledge, the investigation revealed a common vision on four distinctive features. First, searching for and accessing useful data were mentioned as one of the most important characteristics for a digital platform, especially one that allows users to find methodologies, tools and possible collaborators. Moreover, both groups emphasised the need for a highly interactive way of sharing, editing, and presenting data and content. This should be underpinned by a principle of reciprocity: taking and giving back. A second important feature is fostering better communication between collaborators. In the context of managing participatory activities, this stood out as a means of building a network of collaborators and partners more efficiently. Thirdly, gathering feedback is confirmed a crucial part of managing and conducting participatory projects, and CultureLabs has the opportunity to propose digital solutions that can overcome the limitations of existing established methods of getting feedback, such as online surveys. Finally, both internal and external stakeholders noted that support for decision-making would be appreciated. This could include the use of voting and scheduling features in the platform. This was seen as a means of facilitating collaboration and gathering participants’ opinions as well as a way of having a centralised platform to keep track of a project and not relying on a variety of external tools (e.g. Doodle, Skype, etc.). Whilst the two groups of participants represented different perspectives, their answers and elaborations highlighted key features to facilitate interaction, collaborative processes, and the management of participatory projects that CultureLabs will attend to. If we say Black Friday the mind goes to the hectic, and sometimes compulsive, shopping day of the fourth Friday of November. But this year we collected an alternative, that took place the third Friday of December. A way to escape from the Christmas hustle and bustle, a peaceful moment to listen someone else stories: that’s our favourite “Black Friday”, organised by MALTE – Musica Arte Letteratura Teatro Eccetera, Hexperimenta and Casa delle Culture in Ancona. The last Friday 21st December, in the main pedestrian and crowded shopping street of Ancona, a group of migrants decided to give as presents to the interested citizens their Christmas stories. 7 locations were positioned at 100mt distance each other, with two facing tools, one for the migrant and the other for visitor. Who sat there could listen a short recorded story through cuffs, without interacting with the silent teller. “Black Friday in the United States is the day that starts Christmas shopping. We have also decided to invent a Black Friday, made of gifts, packages and reciprocity. The difference is that our Black Friday is really black. And that for us the gifts are not objects, but people, real people, of flesh and blood, who tell us their Christmas, their Christmas, and they do it without asking anything in return, as a gift” said the organisers. What does CultureLabs can take from this experience? … so it is a perfect recipe for our CultureLabs platform! If you would know more about it, just following our upcoming pilots activities. What can the visit of a Maasai delegation to the Pitt Rivers Museum teach CultureLabs? The Pitt Rivers Museum hosts the archaeological and anthropological collections of the University of Oxford, United Kingdom. Amongst these are displayed more than 500,000 items arranged by object type rather than by time or geographical region. Many of the collections are populated by objects “acquired” by colonial functionaries, missionaries, and anthropologists during the British Empire. In what Koshy’s defines as part of a “process of cultural decolonisation”, the Maasai delegation has been invited to Oxford to help the museum rectify errors in the cataloging of the Maasai collection and providing more accurate information about the object hosted by the Pitt Rivers Museum. As it can be read more thoroughly in the article, the visit allowed to identify a number of problematic issues within the collection and within the broader museum acquisition procedures. To the great astonishment of the Maasai delegation, within the items in the collection were included fundamental elements of the Maasai culture (for example the orkatar bracelet or the isurutia neckless) which are regularly transmitted within families and never given up to external parties. This suggests that the acquisition process of the elements is likely to have happened through forceful measures, if not violent. Of the 60 objects examined, the Maasai came across five that are sacred, which “they would not expect to find elsewhere apart from within their community”. This episode left us asking ourselves questions that we consider very important for the CultureLabs project we are part of and for the participation methodology that Platoniq brings forward in this context. CultureLabs intends on developing participatory projects across different European countries (Italy, Finland, and UK) which promote social cohesion through the means of Cultural Heritage. How to account for and try to equilibrate power imbalances between the different parties involved in the co-creation process? Who gets to frame what counts as “Cultural Heritage” and how will the sense-making work? How to be self- aware of the power in this sense-making process? Who will ask questions framing the development of the participatory projects? How and how often are the protagonist of the projects involved? How to move away from tokenism and neo-colonising and move towards decolonising memory and archiving processes? How to transform Cultural Heritage institutions? How to avoid harm and how to create conditions for safe(r) spaces whilst involving different communities in storytelling and sharing dynamics? How to ensure that the participatory projects are centered on self-representation as much as possible and how to create the conditions for a safe(r) process in telling one’s own story? How can the participatory processes avoid exoticising Cultural Heritage from different countries and fixing them into time? Who is accountable for the responsibility of the project design and how does this accountability process work? We are exploring approaches and methodologies to answer these questions as we proceed with CultureLabs and more participatory projects. If you have any ideas on how this can be done or would like to chat to us about it, please get in touch with us at info@culture-labs.eu! The Platoniq team, that is part of the project, will take care of your feedback! Born as a national short film competition it has become, over the course of 15 editions, one of the most awaited events by authors and lovers of auteur cinema in general and, in particular, of civic engagement. For a week, Ancona hosts directors from all over Italy and the world with projections, meetings and master classes. How does it concern #CultureLabs? Every year, COOSS (one of CultureLabs partners) devolves a cash prize and a plaque for the best short for social engagement. 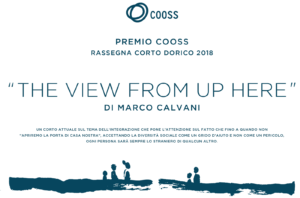 In the XV edition COOSS devolved the prize to “The View From Up Here” by Marco Calvani (please find here the trailer: https://www.youtube.com/watch?v=GtjdC-DCBgE), touching the theme of integration and acceptance of social diversity, described in the story of a Syrian girl and her Italian neighbor. Citizens, Youth and Prison Inmates of the penitentiary institutes of Marche Region. Social Engagement has a key-role for CortoDorico since it involves and actively engages the community, as well as disadvantaged subjects in the shorts assessment and in the winners’ selection. Corto Dorico is designed and managed by the cultural association NieWiem, supported by local authorities (Municipality of Ancona, Marche region), national bodies (Mibact – General Directorate for Cinema) and other stakeholders (Cooss Marche, Università Politecnica delle Marche, Amnesty International Italy). Professor Luigina Ciolfi of Sheffield Hallam University presented CultureLabs at the symposium “Feeling the Past – Empathy, Heritage and the Museum” that took place at MShed in Bristol (UK) on December 4th, 2018. The symposium was organised by Professor Steve Poole and his team in the Digital Cultures Research Centre at the University of the West of England (UWE). The event was part of the “Heritage Empath” project, funded by the UK Arts and Humanities Research Council. The project explores the importance of empathy and emotional involvement in experiencing heritage, and how digital technologies can convey and support such experiences. The project’s final installation, “Of Home and Each Other”, is an interactive storytelling experience on the theme of migration and empathy in the streets of Bristol, written by Zodwa Nyoni and realised by Splash and Ripple. What was the thematic focus of the Symposium? “Visitors to museums and sites of heritage are frequently invited to immerse themselves in the lives of past generations. With a fresh emphasis on emotion, feeling and personal perspective, heritage professionals have sought new ways to engage audiences with affective stories about objects, people and places, bringing the past to life, making it more familiar, and making it matter to audiences. But empathy is much easier to talk about than it is to curate. Is it possible to step into the shoes of long dead historical actors and see or feel the world as they did? How have heritage sites and museums built emotional content into the visitor experience, and how have visitors reacted?” (from the Symposium programme). Several invited speakers presented their work on the day, linking research in several heritage contexts in the UK and overseas that examines emotionally resonant visitor experiences. Professor Ciolfi spoke of the vision of CultureLabs and of the challenges in understanding and supporting the process of engagement of migrant communities into the work of museums and other cultural institutions. While the importance and value of culture and heritage for social inclusion, empathy, and emotional wellbeing are broadly recognised, CultureLabs is developing knowledge and tools to make sure that such engagement can be realised and benefit both migrant and refugee communities and the general public so to engender dialogue and empathy. In November the Plenary Meeting of the CultureLabs consortium gathered representatives of all the partners together in Helsinki to go over the progress and polish the details of the future plans of the project. The topics of the meeting held at the premises of the Finnish Heritage Agency ranged from the structure and suggested wireframes of the recipe creator and search functions of the CultureLabs platform to possible ways of promoting and establishing new collaborations with other projects and stakeholders. During the meeting, the consortium members reached a general agreement on some of the main wireframes related to important functionalities of the CultureLabs platform, the metadata describing the published resources, and the types of search filters to be used for searching for past and ongoing participatory activities (recipes), cultural resources (ingredients), etc. The outcomes of the meeting will inform the implementation of an initial architecture and prototype of the CultureLabs platform that is currently under development. The partners also explored the social and historical contexts of migration in Europe and their socio-cultural implications in today’s societies. Ideas were shared on how to communicate about these issues by integrating them with the activities and objectives of the CultureLabs project. One of the central topics were the surveys that will be started soon covering institutions of various sectors as well as communities with migrant background in order to find out about their experiences of participatory projects and their needs. The Plenary Meeting was concluded with a guided tour in the inspiring exhibition Story of Finland at the National Museum of Finland (https://www.kansallismuseo.fi/en/exhibitions/suomen-tarina), which represents a new innovative way to build and curate a museum exhibition and provided great example of how digital technology can be used to add layers to the stories of an exhibition. The meeting provided the consortium with useful feedback from each other and fresh, collaboratively cooked ideas to continue the work with.